Hollywood: 3 pm or 6 pm departs from Universal Studios. Book your visit to the Universal theme park in Hollywood with Starline Tours and save! This Universal Studios ticket and transportation package was designed for visitors who want to enjoy an action-packed day at the theme park without the worries or hassles of driving. This package includes return transportation from the Starline Tours terminal on Hollywood Boulevard, just outside the TCL Chinese Theatre. We also offer optional hotel pick-up and drop-off as an added courtesy to our guests. Departures run daily at 9:30 a.m. and 12:30 p.m. The morning trip returns from Universal Studios at 3:00 p.m., and the midday trip returns at 5:30 p.m. on weekdays or 6:00 p.m. on weekends. During holidays and peak season, all return trips are scheduled for 6:00 p.m.
To learn more or if you need assistance completing your reservation, please call Starline Tours toll-free at 1-800-959-3131 or (+1) 323-463-3333. Hotel locations pick up information details are available during your check out. 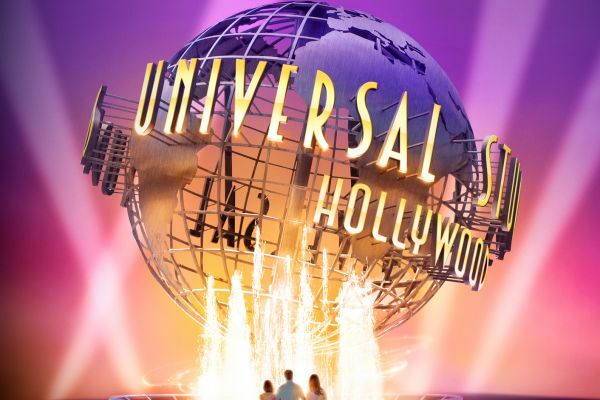 No visit to Los Angeles will be complete without a day or more at the world-renowned Universal Studios HollywoodTM where you can see where your favorite movies and television shows come to life. 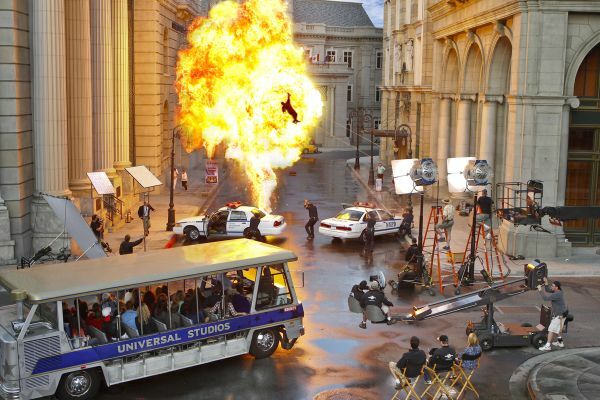 Go behind-the-scenes on the world-famous Studio Tour to explore real film sets where Hollywood movies are made. Then, face action head-on in heart-pounding rides, shows and attractions that put you inside some of the world’s most popular movies and TV shows.